We evaluate the simultaneous remote sensing of atmospheric vertical profiles of water vapour and temperature along with some micro-physical parameters, such as ice-particle effective diameter and ice water content of cirrus clouds, using far infrared spectral measurements of the downwelling longwave radiation. The developed methodology allows to retrieve the atmospheric state with good accuracy and high repetition rate, about 12 min, opening the capability to identify fast atmospheric events. We introduce a strategy for the measurement of CO2 in the stratosphere. We use an orbiting limb sounder to measure both the thermal infrared (TIR) and far-infrared (FIR) atmospheric emissions. The rotational transitions of O2 in the FIR are exploited to derive the temperature and pressure fields that are needed to retrieve the CO2 from its spectrum in the TIR. The proposed experiment can determine two-dimensional distributions of the CO2 with precision of 1 ppm at altitudes between 10 and 50 km. The knowledge of the solar spectrum at the top of Earth's atmosphere is of great importance for climatic studies. Satellite instruments allow direct measurements; however, their calibration presents issues. It is possible to determine this spectrum precisely from Earth-based measurements as well, using the Langley plot technique and accurate calibration techniques. We present an infrared spectrum using these techniques for measurements made at the reference Mauna Loa Observatory. A new technique is proposed to simulated winds in clouds as they could be observed by a space-borne Doppler 3 mm wavelength radar. Results show that, in the presence of cloud inhomogeneity and of vertical wind shear, measured winds can be corrected and produce unbiased estimates of line-of-sight winds that can then be assimilated in numerical models to improve weather forecasts. The GNSS Occultation Sounder (GNOS) is one of the new-generation payloads on board the Chinese FengYun 3 (FY-3) series of operational meteorological satellites for sounding the Earth’s neutral atmosphere and ionosphere. FY-3C GNOS, on board the FY-3 series C satellite launched in September 2013, was designed to acquire setting and rising radio occultation (RO) data by using GNSS signals from both the Chinese BDS and the US GPS. This paper reviews the FY-3C GNOS mission. New systems to study the mesosphere are introduced. They result from the re-engineering of previous systems, by making use of MIMO, spread-spectrum and compressed sensing techniques that are widely used in telecommunications. The interferometer configuration is now implemented in transmission, making the location of meteor echoes possible with just one antenna on reception. Our novel concept, makes feasible the study of a mesosphere volume from different viewing points on the ground. The Institute for Atmospheric and Environmental Research at the University of Wuppertal designed and manufactured a prototype of the large-area blackbody for in-flight calibration of an infrared interferometer deployed onboard a long-duration balloon for stratospheric research. 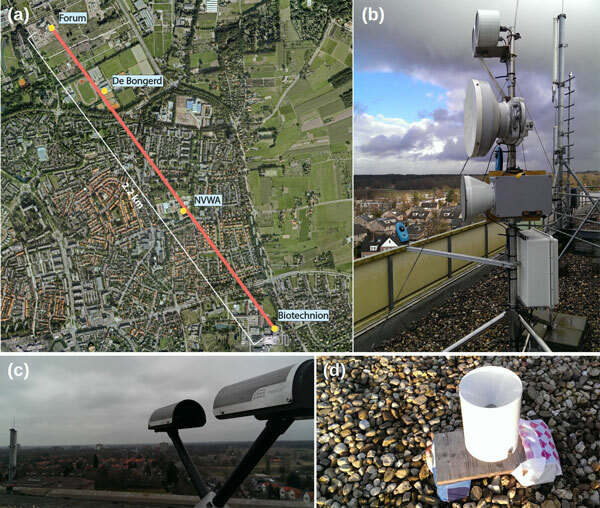 We present a campaign to address several error sources associated with rainfall estimates from microwave links in cellular communication networks. The set-up consists of three co-located links, complemented with reference instruments. We investigate events covering different attenuating phenomena: Rainfall, solid precipitation, temperature, fog, antenna wetting due to rain or dew, and clutter. 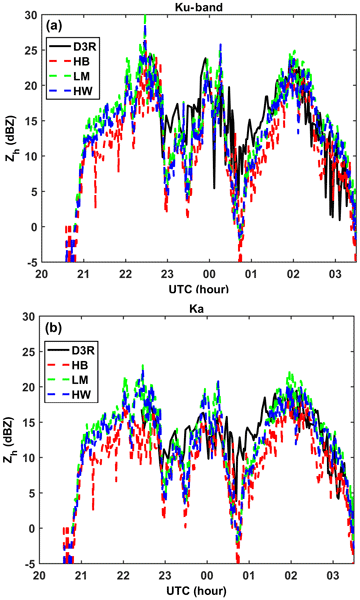 This paper investigates with computer simulations the measurement performances of the satellite Stratospheric Inferred Winds (SIW) in the altitude range 10–90 km. SIW is a Swedish mission that will be launched close to 2022. It is intended to fill the current altitude gap between 30 and 70 km in wind measurements and to pursue the monitoring of temperature and key stratospheric constituents for better understanding climate change effects. The DSCOVR/EPIC instrument located near the Lagrange 1 Earth–Sun gravitational balance point is able to view the entire sunlit disk of the Earth. This means that during the eclipse of 21 August 2017 EPIC was able to see the region of totality and the much larger region of partial eclipse. Because of this, EPIC is able to measure the global reduction of reflected solar flux. For the wavelength range 388 to 780 nm, we estimated a 10 % reduction in reflected radiation. 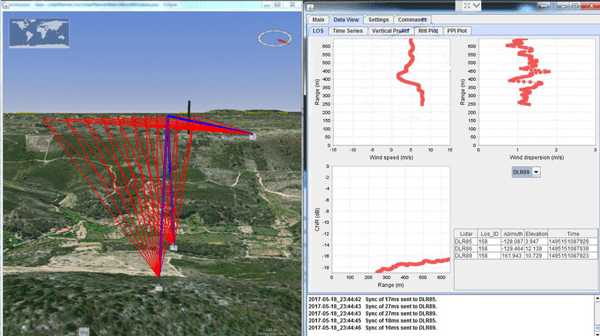 This work reports airborne wind lidar observations performed in a recent field campaign. The deployed lidar system serves as a demonstrator for the satellite instrument ALADIN on board Aeolus, which is scheduled for launch in 2018 and will become the first wind lidar in space. After presenting the measurement principle, operation procedures and wind retrieval algorithm, the obtained wind results are validated and discussed, providing valuable information in preparation for the satellite mission. A Doppler wind lidar attitude correction method is presented. This algorithm-based method relaxes the requirements for mechanical stability and active compensation mechanisms. A shipborne wind measurement campaign was carried out in the Yellow Sea, 2014. 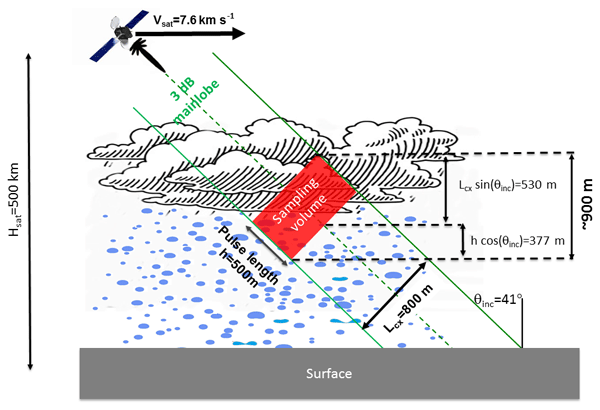 Comparison between lidar and radiosonde wind measurements shows good consistency, indicating that the method can provide continuous and high spatio-temporal resolution measurement of atmospheric turbulence processes in the marine boundary layer. This article describes a method to determine the polarization sensitivity of SCIAMACHY, a spectrometer on Envisat, from in-orbit data. 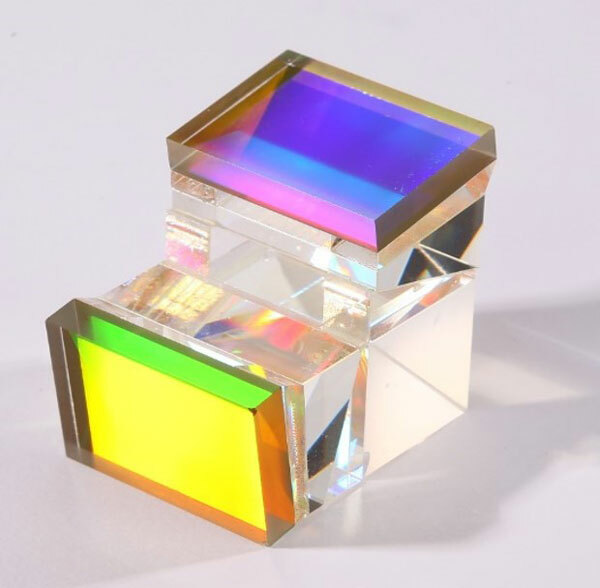 Polarization is a preference of a direction in which light oscillates, and many optical instruments suffer from a dependence of their measured signals on this. To measure and correct for this effect, a statistical analysis of in-flight data combined with a model of the atmosphere and the instrument was performed, showing that the instrument changed after launch. In our article we present the evolution of the noise of 11 microwave radiometers used for meteorological remote sensing. We used the Allan deviation to compute an estimate of the noise on the calibration measurements. We provide graphics as an overview to enable the users of the data to decide on the usability of the data for their purposes. Moreover, our analysis enters the production of new FCDRs (Fundamental Climate Data Records) within the FIDUCEO project. Microwave radiometry is a suitable technique to measure atmospheric temperature profiles during clear sky and cloudy conditions. However clouds can influence the temperature measurements. 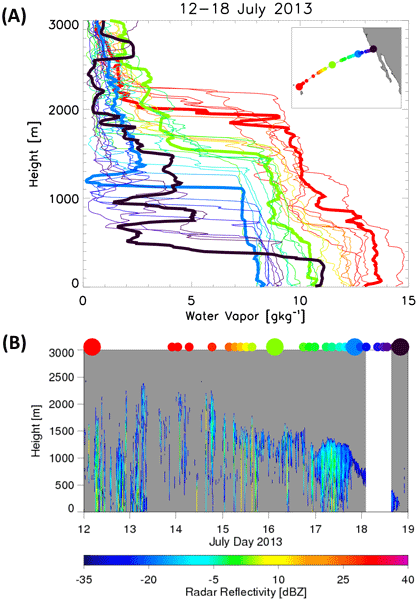 In this study we analyse the influence of clouds on temperature measurements in the troposphere from a microwave radiometer. We found that the effect of clouds on the temperature measurements is important and that the measurements can be improved substantially by considering clouds in the retrieval process. In this paper we present a methodology for atmospheric multi-Doppler lidar experiments accompanied with the description and results from the Perdigão-2015 experiment, where the methodology was demonstrated. To our knowledge, this is the first time that steps leading to the acquisition of high-quality datasets from field studies are described and systematically defined and organized. The Raman lidar ability to retrieve atmospheric water vapor with high accuracy makes it a premium instrument in different research fields such as climatology, meteorology, or calibration of GNSS altimetry data. In order to achieve long-term stability of the measurements, the system has to be carefully calibrated. In this work we strove to investigate and mitigate the error and instability sources through numerical simulations as well as experimental tests. The satellite instrument SCIAMACHY on board the ESA's platform Envisat (2002–2012) performed observations of the Earth's atmosphere. Using sun and moon observations of the instrument itself, we derived a set of correction parameters for the determination of the viewing directions of the instrument. 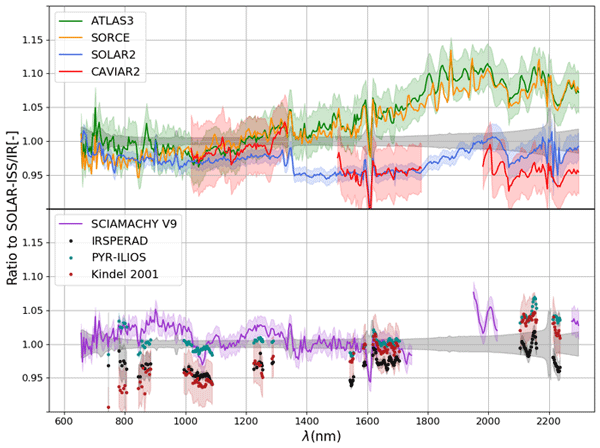 From this work, all vertical profiles of atmospheric parameters from SCIAMACHY's limb and occultation measurements will be improved by a more accurate altitude information. This paper presents the Forest Fire Finder (FFF) System, a long range forest fire detection system. It works by detecting a smoke column above the horizon, by analysing the light that goes through it. In the article, you will find a technical description and an analysis of the behaviour of 13 of these devices, which were installed in a Portuguese national park. We conclude that the deployed FFF network managed to detect more that 200 fires, proving the system to be effective in fire detection. Using an optimized turbulence mode of two wind profiling radars (449 MHz and 915 MHz) during the XPIA field campaign, we present improved measurements of vertical velocity variance at the resolved and unresolved scales, using first and second Doppler spectral moments, and the total variance over all scales. Comparisons with sonic anemometers gave strong results, particularly during the daytime convective period. Profiles up to 2 km are possible with the 449 MHz WPR and 1 km from the 915 MHz WPR. The Global Precipitation Measurement (GPM) Microwave Imager (GMI) is a new satellite instrument for observing global rainfall and snowfall. This paper documents the effective spatial resolution of the GMI's microwave imagery and describes the results of a computational method for optimally matching the resolutions of different channels. 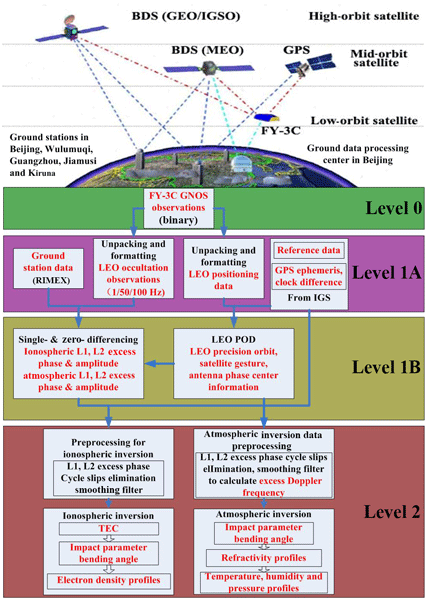 Ground-based observations of GPS satellites disappearing below the local horizon are analysed. Starting at +2 degree elevation angle the GPS signals are recorded in open-loop tracking mode down to −1.5 degrees. The open-loop Doppler model has negligible influence on the derived data products for strong signal-to-noise ratios; at lower signal levels, however, a notable bias is uncovered. These results may have implications for the design of future space-based GPS radio occultation missions. In this paper a SWIR airglow imager is presented. It is especially designed for the observation of small-scale gravity waves and turbulence features in the OH airglow layer with a high spatio-temporal resolution of up to 17 m (at mesopause heights) and 2.5 to 2.8 s. Two case studies show small-scale wave structures with horizontal wavelengths of approximately 550 m as well as vortex formation and decomposition of wave fronts, both indicating the onset of turbulence. The data quality of radars must be ensured and continuously monitored. The aim of this paper is to provide an integrated approach able to monitor the calibration of operational dual-polarization radars. The set of methods considered appears suitable to establish an online tool to monitor the stability of the radar calibration with an accuracy of about 2 dB. This is considered adequate to automatically detect any unexpected change in the radar system requiring further investigations. We demonstrate the feasibility of measuring polar atmospheric winds over the altitude range 23–97 km using ground-based millimetre-wave Doppler radiometry. Atmospheric and instrument simulations were carried out for Halley station, Antarctica. This remote sensing technique will provide continuous horizontal wind observations in the stratosphere and mesosphere where measurements are currently very limited. The data are needed for meteorological analyses and atmospheric modelling applications. 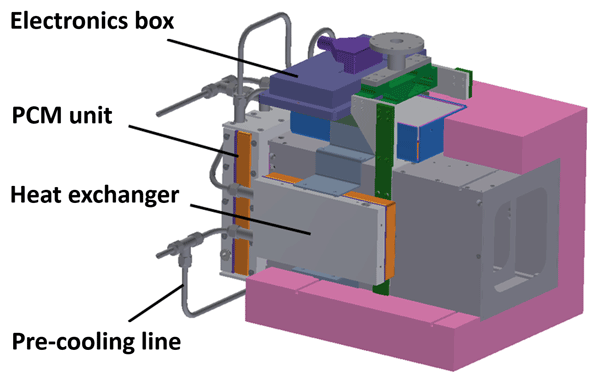 This paper presents a ground-based, short-wave infrared camera system for measurements of the OH airglow originating in the middle atmosphere. The camera has a high temporal and spatial resolution of 0.5 s and 200 m (at 90 km height), which allows for detailed observations of atmospheric waves and other transient phenomena. Details regarding the instrument, calibration and preprocessing are discussed exemplarily for an event of two superposing gravity waves with associated instability structures. A process to characterize a ground-based microwave radiometer by comparing measured radiance with a reference data, prepared by the radiative transfer simulation with the input of temperature and humidity profiles from NWP model is introduced. When the data affected by clouds and erroneous absolute calibration is compared, the data show a better than 0.97 and 0.5 K of regression coefficient and bias, respectively. However, there is unresolved discrepancy of about 2 K at the lower frequencies. 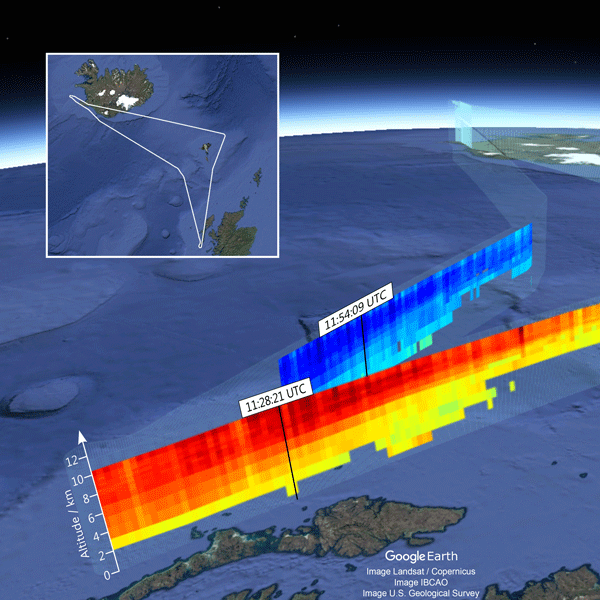 Doppler lidar wind measurements were obtained during a 3-month Arctic cruise in summer 2014. Ship-motion effects were compensated by combining a commercial Doppler lidar with a custom-made motion-stabilisation platform. This enables the retrieval of wind profiles in the Arctic boundary layer with uncertainties comparable to land-based lidar measurements and standard radiosondes. The presented set-up has the potential to facilitate continuous ship-based wind profile measurements over the oceans. 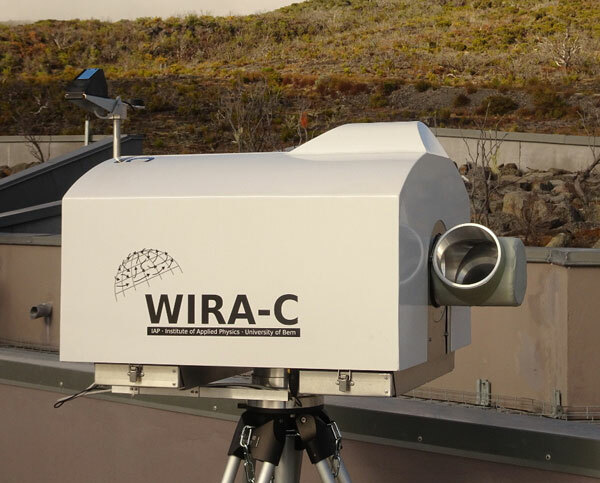 Continuous-wave coherent Doppler lidars (CW CDL) are a class of short-range wind lidars. This paper presents the measurement results from a field campaign where the performance of a recently built all-fiber image-reject homodyne CW CDL is compared against a sonic anemometer. The results are weighed against another instrument, i.e., a CW CDL benefiting from a heterodyne receiver. The results show that the new system has a superior measurement performance, especially for close-to-zero velocities. The paper summarizes the scientific objectives and the observational/modeling strategy of the atmospheric electricity PEACH project of the HyMeX program focusing on the lightning activity and the electrical state of Mediterranean thunderstorms. Examples of concurrent observations from radio frequency to acoustic for regular and atypical lightning flashes and for storms are discussed, showing the unique and comprehensive description of lightning flashes recorded during a dedicated field campaign. Only very few techniques for wind measurements in the upper stratosphere and lower mesosphere exist. Moreover, none of these instruments is running on a continuous basis. This paper describes the development of ground-based microwave Doppler radiometry. 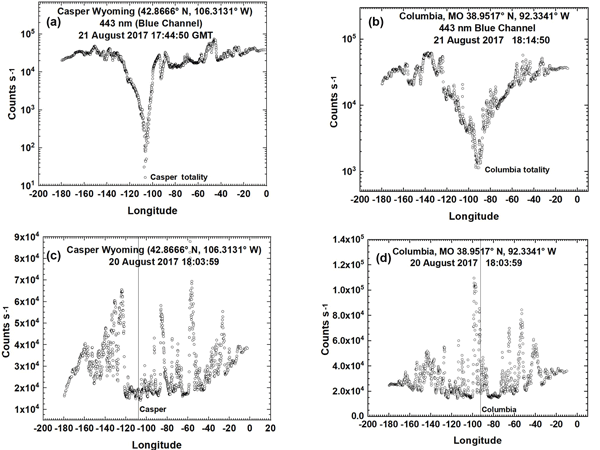 Time series of daily wind profile measurements from four different locations at polar, mid- and tropical latitudes are presented. The agreement with ECMWF model data is good in the stratosphere, but discrepancies were found in the mesosphere.